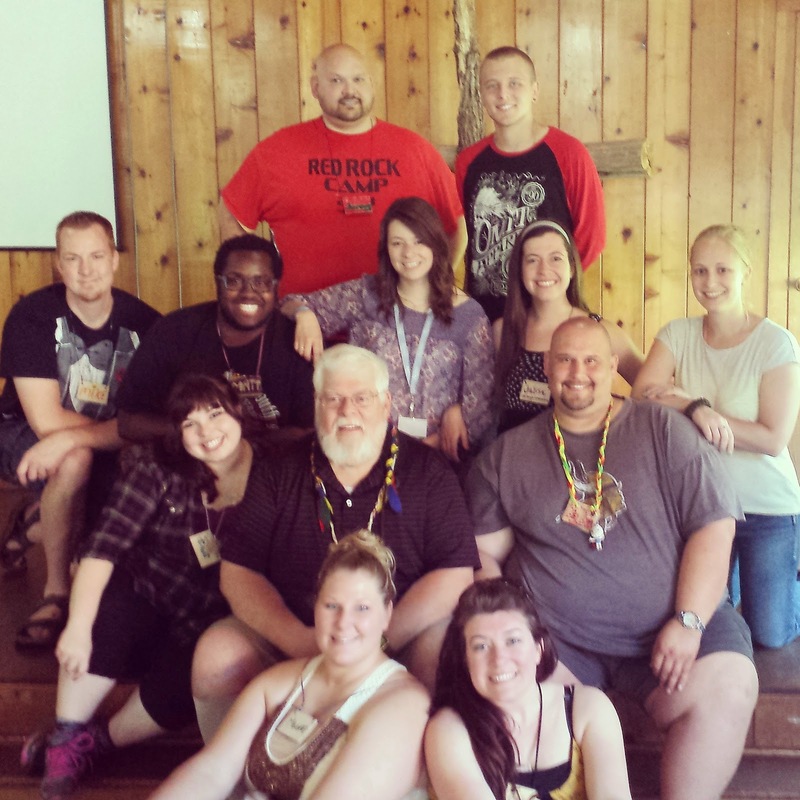 Another year has come and gone at Red Rock Camp. I am the Dean of Women there which means I am in charge of Jr Sr High programing. 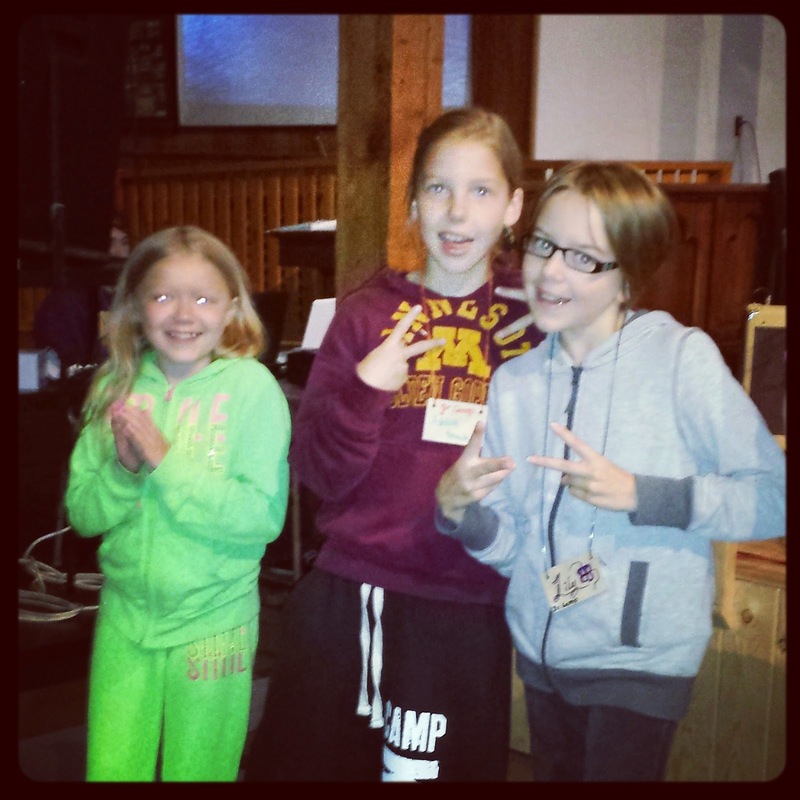 But Red Rock is so much more than just Jr Sr High it is one of the few inter-generational camps around Minnesota. This makes it so unique to be able to spend it together as a family. 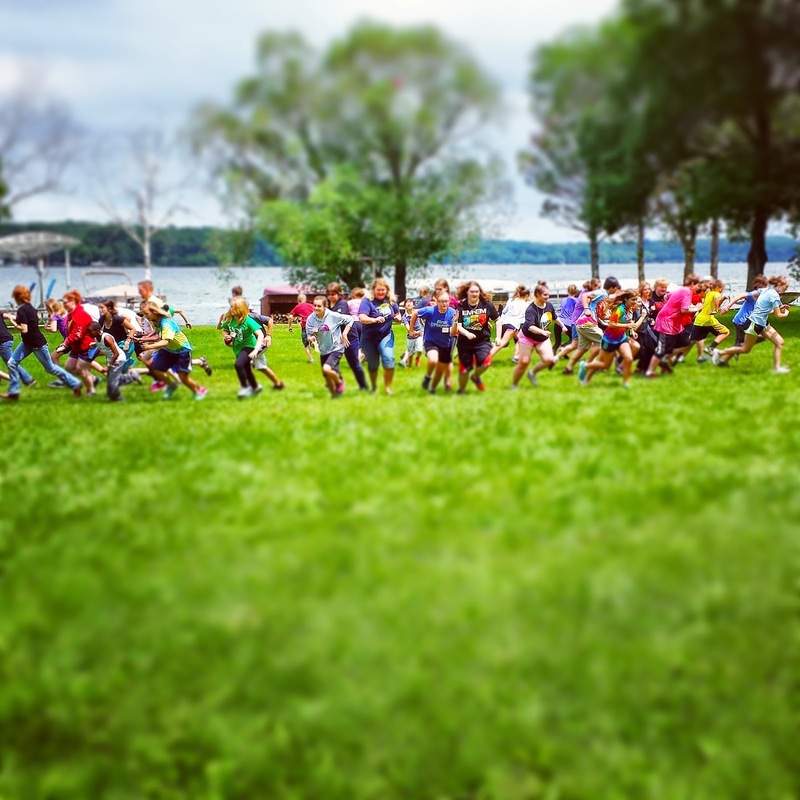 Here is just a sampling of what camp was to us this year. Above is game time with the Jr Sr high group, they were awesome and participated whole-heartily. Mouse and her new friends this year right before leading actions to a worship song. They were so excited to get up in front of 200 people in the tabernacle and help lead. They are future leaders here. Our annual counselor picture for Jr Sr High. This group of people were amazing this year. I am also so blessed to lead such an "on fire" group. Their heart for God and the kids is like non-other. 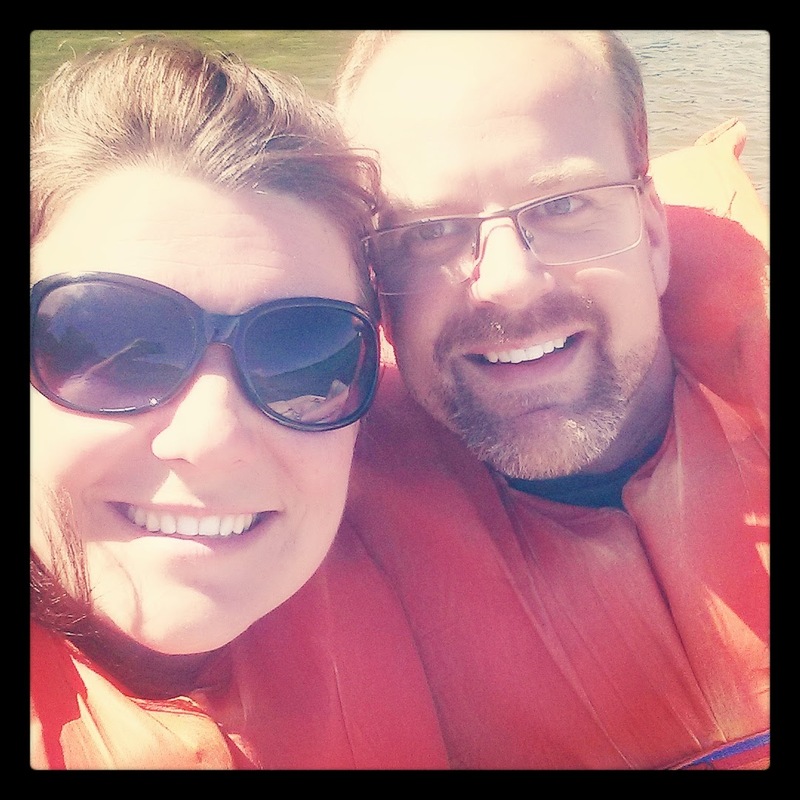 Steve and I did sneak away for a bit of quiet time out on the paddle boats. Though with the rain and winds this past week, I wasn't sure if it was the safest activity for us to choose. But the sun felt great and it I am so glad to have him here at my side during the week. Steve also took part in a late (midnight) game of Giant Jenga. 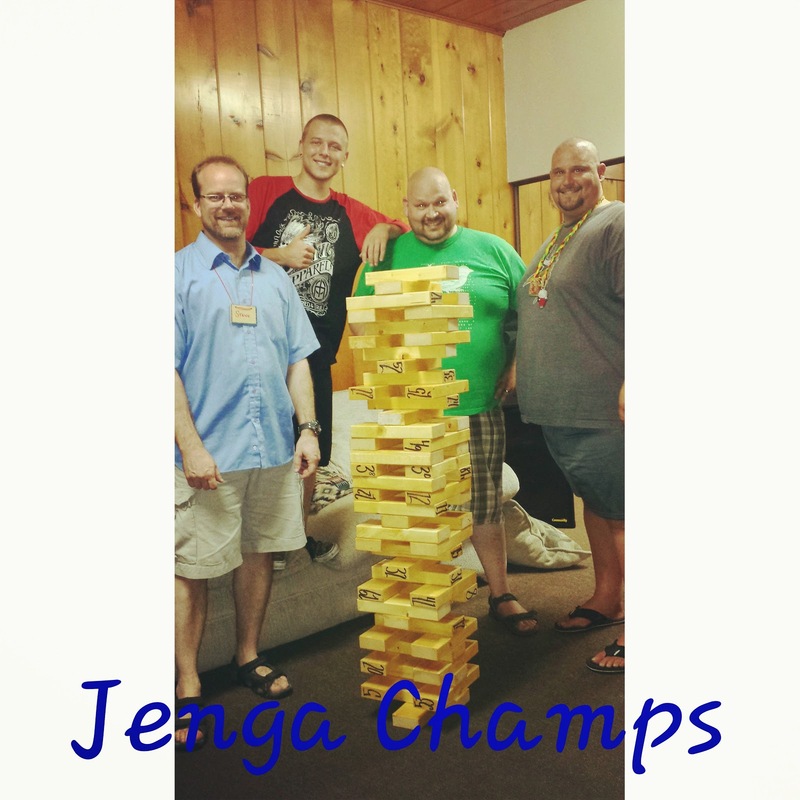 The guys were so proud of themselves with they decided they beat the game (meaning there were no moves left). The tower was over 4 feet high! 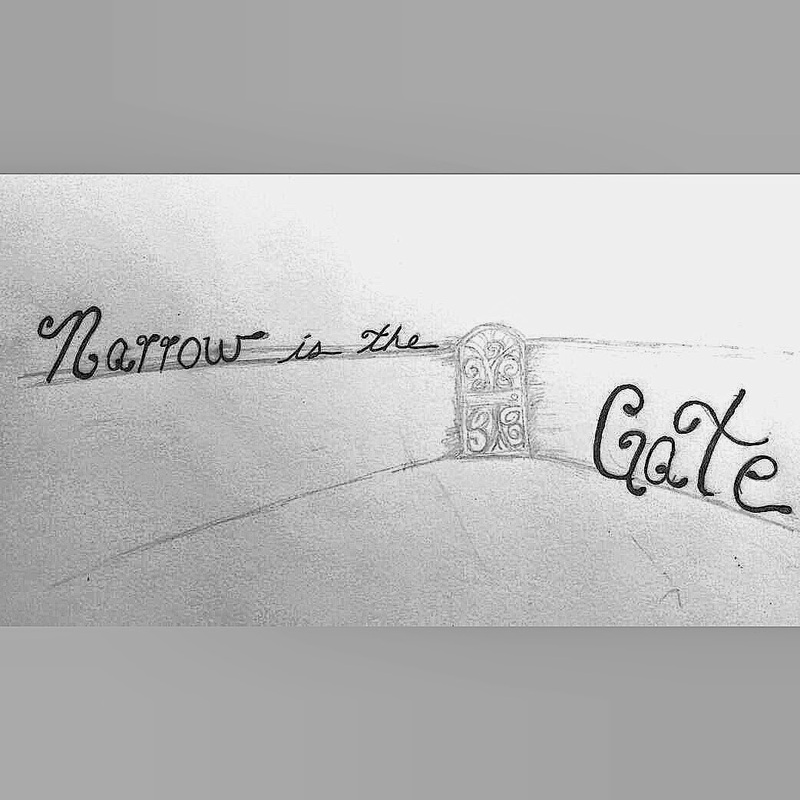 We also listened to Jason from Worldview Warriors talk about the "Narrow Gate". His messages through out the week was inspirational and moving to so many. I know there is lots that Steve and I are praying about from this week. Now it is time to take what we learned and "Engage Community"